SPLab was participating there for the two first days by attending talks focusing on cloud-native applications, block-chain, microservices and cloud frameworks. 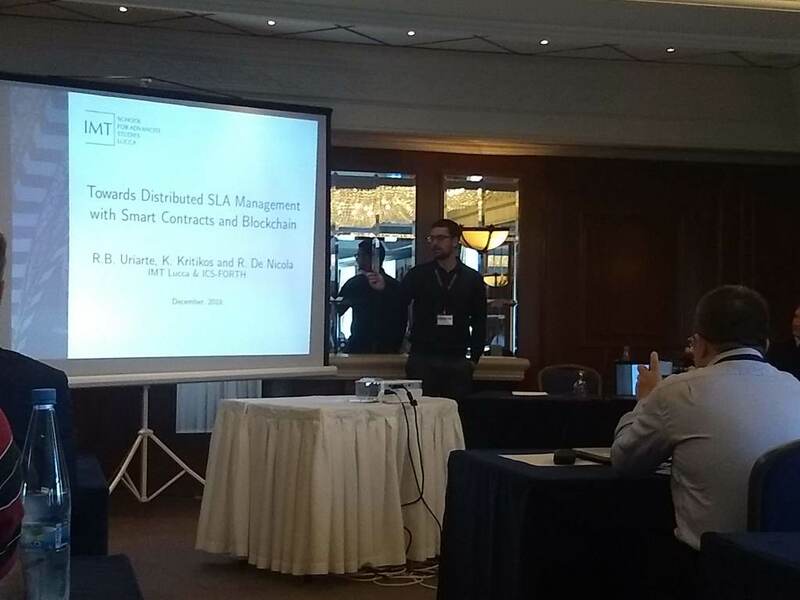 The member of SPLab, Oleksii Serhiienko, was presenting the paper “Systematic and recomputable comparison of multi-cloud management platforms”. The work is describing the architecture approach and prototype of the unified testbed for separate features comparison of required CMPs. The service also creates graphs and tables of statistically persistent results to make it easier for the industry to pick up the most suitable solution which is fitting their business model the best. At the first day the SPLab member was attending the workshop on Resource brokering with blockchain (RBchain), the goal of which was to bring together researchers and practitioners working in distributed systems, cryptography, and security from both academia and industry, who are interested in the technology and theory of blockchains and their protocols. 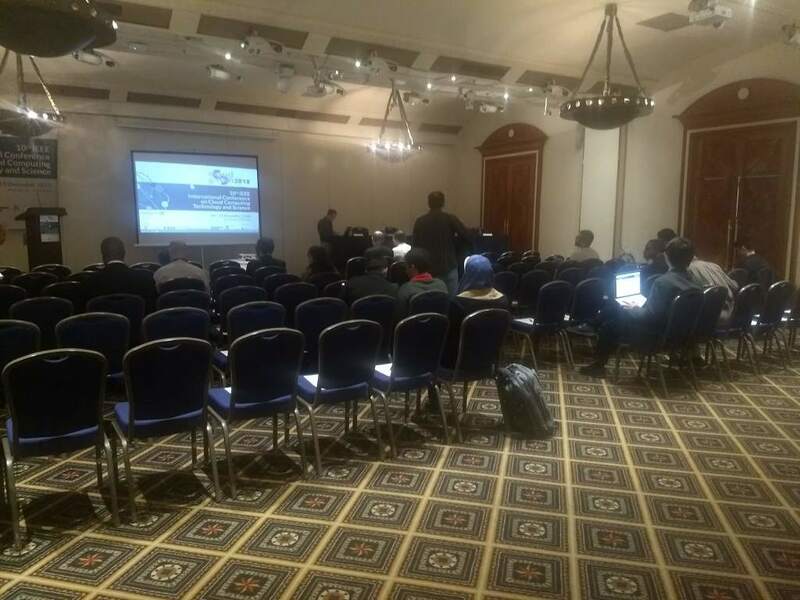 During this workshop, participants were sharing their experience of using blockchain in research projects in the context of SLA, smart contracts, etc. The work itself led to the panel discussion of future problems and use-cases in academia the same as in industry. The second part of the day presented as a tutorial “Designing Scalable and Secure Microservices by Embracing DevOps-as-a-Service Offerings” where the presenter was talking about basics of creating the project based on microservices, architecture, containerisation and usage patterns. 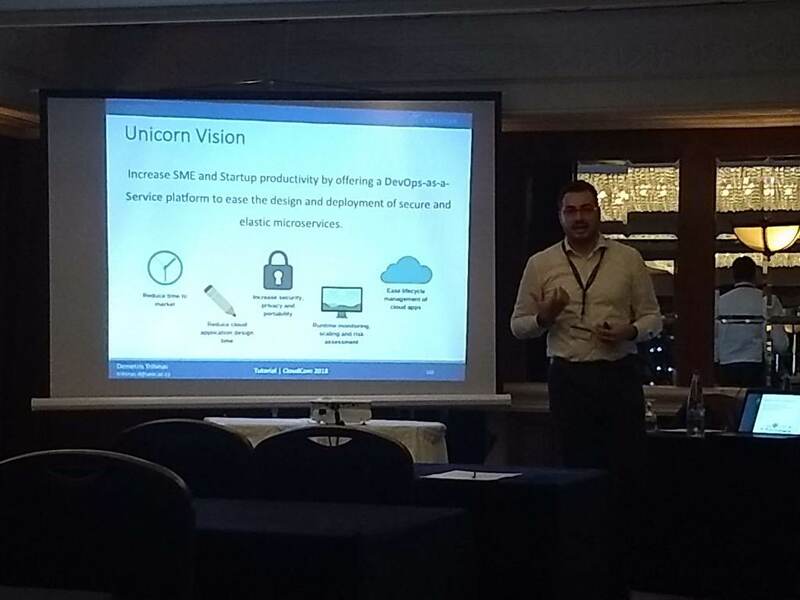 At the end of the tutorial was presented the unicorn framework and promoting to find beta-testers to use this framework which can get vouchers of 10000 €. 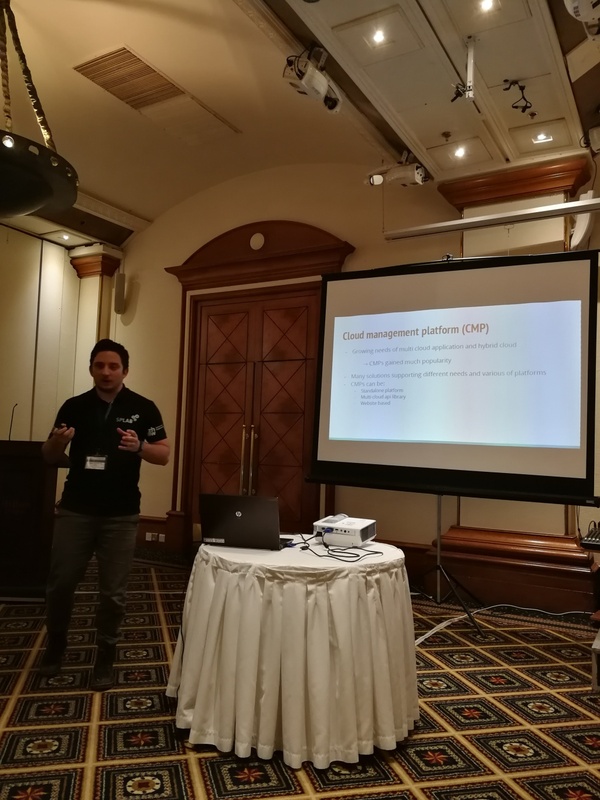 The second day was started with Opening Ceremony where organizers of CloudCom and responsible people from Cyprus University were presenting the general information about the conference and themselves. In 2018 were submitted 91 papers out of which only 18 accepted which makes the acceptance rate 0.19. The opening ceremony was followed by the keynote speaker talking again about “Secure Data Sharing based on Blockchain”. The speaker was raising legal questions which are recently influencing blockchain in Europe and the world. The talk aimed to present a novel on-the-fly dynamic control framework on shared data which allows a user to trace, retract, remove and limit sharing of shared content. Rest of the day was a presentation of papers about virtualisation, cloud frameworks and applications. 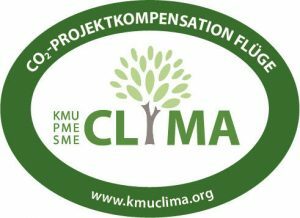 It is unfortunate that we could only participate for part of the conference due to other ongoing commitments. Nevertheless we enjoyed CloudCom 2018 and look forward to the 2019 edition.